The site of the castle has been inhabited since between the 5th and 7th centuries AD when a prosperous community was based there but it wasn't until later in the 12th century that it gained international literary fame and named by Geoffrey of Monmouth as the place where the legendary King Arthur was conceived. 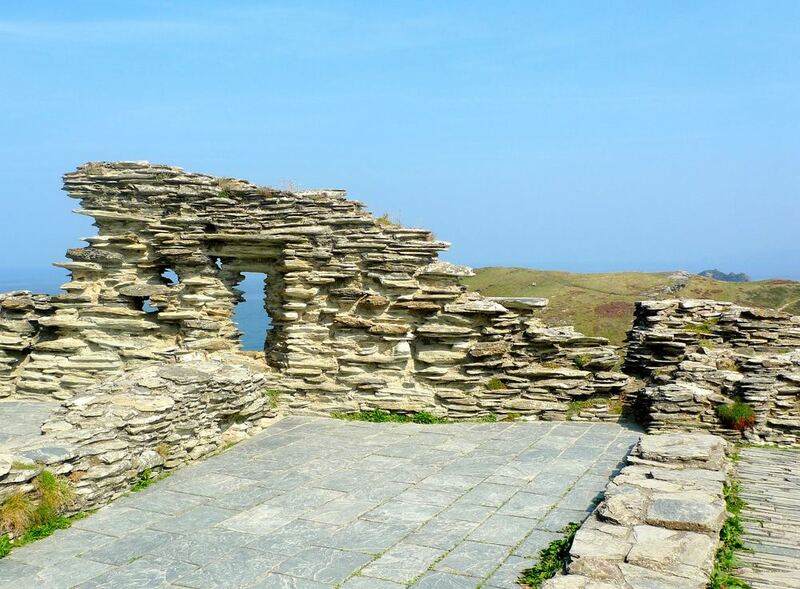 English Heritage, who maintain the site think this "may have been what inspired Richard, Earl of Cornwall, younger brother of Henry III, to site his castle at Tintagel in the 1230s. The castle had fallen into disrepair by 1330, but its associations with the Arthurian legend have helped to foster the site’s continuing international renown." 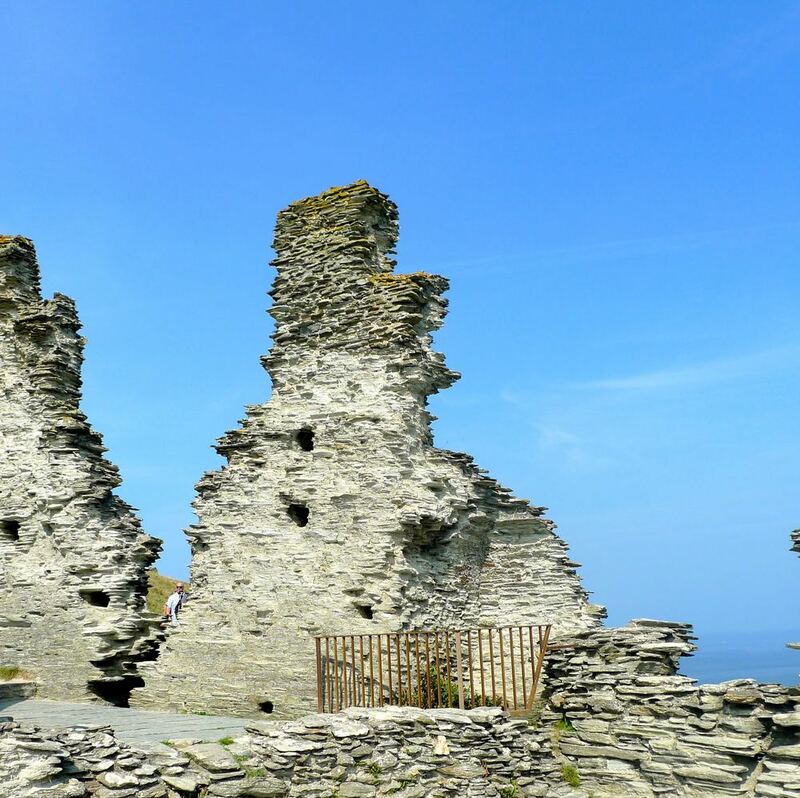 Despite the disrepair, the ruins provide some stunning views and an insight into what life in a castle might be like. Sadly on our visit there were no maps of the site available as English Heritage "had run out" so we wandered around slightly in the dark, making do with the signage available. We were though offered the chance to buy a full guide at the full price, which we declined and if I'm honest I was a little disappointed by this and by the lack of foresight to provide some basic information - for me, a photocopy of the layout would have helped put things into context and helped us plan our visit. 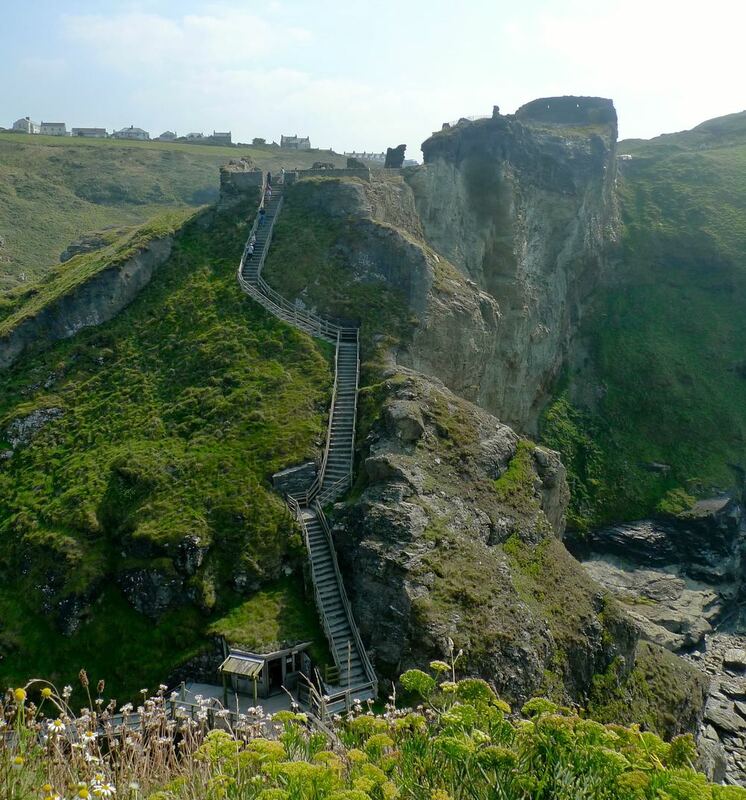 It's probably the only time I'll visit Tintagel Castle and it's the first English Heritage site I've visited, and as they say you don't get a second chance to make a first impression. But map aside, you can see we had fabulous weather and the castle and the scenery were fantastic. 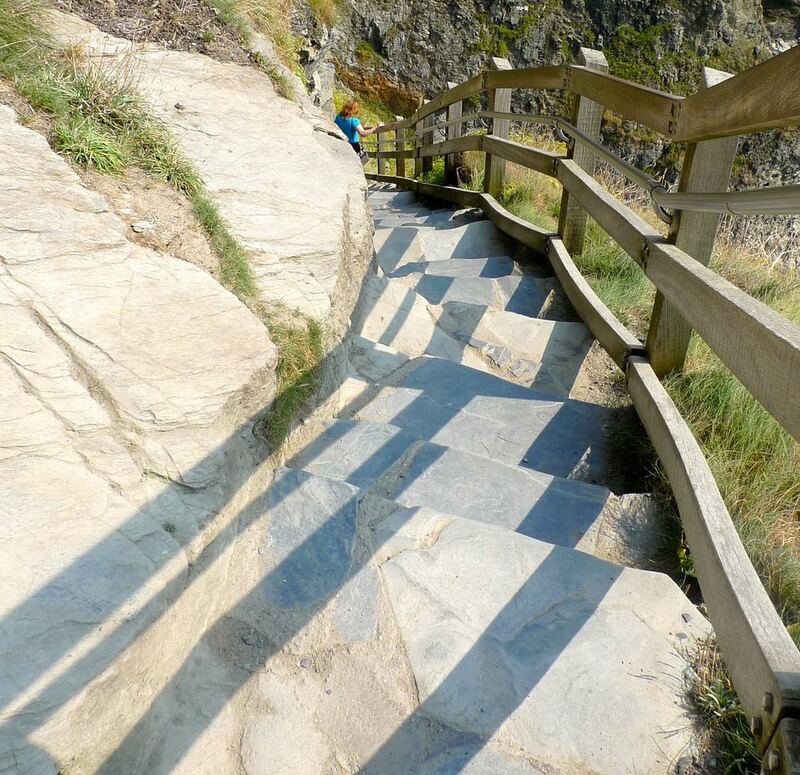 We started by exploring the castle on the headland - there's 148 steps up from the bridge to the wooden door - at the top we paused and looked over to the part of the castle on the mainland, and the steps up to that, and decided that was probably on the "after lunch" exploring list! There's spectacular views along the Cornish coast too, and as seemed to be the case for this trip I quickly found a seagull that was happy to pose for a picture or two! 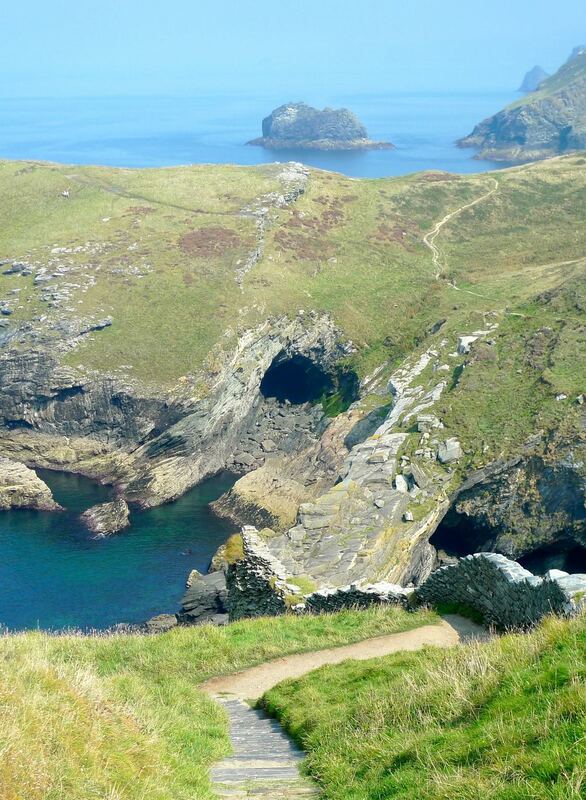 It wasn't long before we found The Tunnel and although little is known about it, including its date, it is known that it was cut using metal tools and while its purpose is also unknown, it's thought it may have been used as a medieval cold store. This is the entrance and as we stepped down into it we weren't quite sure what to expect. But as you get further into the tunnel, it opens out and you can see all the way through. The workmanship is incredible, but it's a shame that more isn't known about it. Out of the tunnel and we continued to explore the headland admiring the strata of the rock and the views out to sea, the whole place had a special atmosphere which I wasn't expecting, but maybe that King Arthur legend really did have roots here. Once we'd had our fill of the views and been entertained long enough by the seagulls, we decided some lunch was in order - and we saw the perfect spot on the next headland along, and from our vantage point we could make out some paths too. So with a rough plan in place we set off and of course what goes up, must go down. And then down some more! 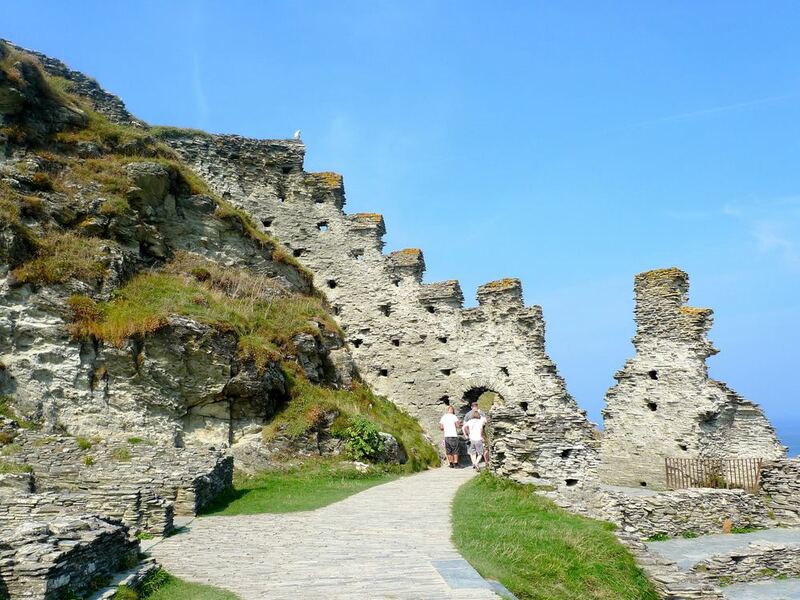 With the steps under our belt (for now) we briefly admired the view from Tintagel Haven before setting off in search of the perfect lunch spot. 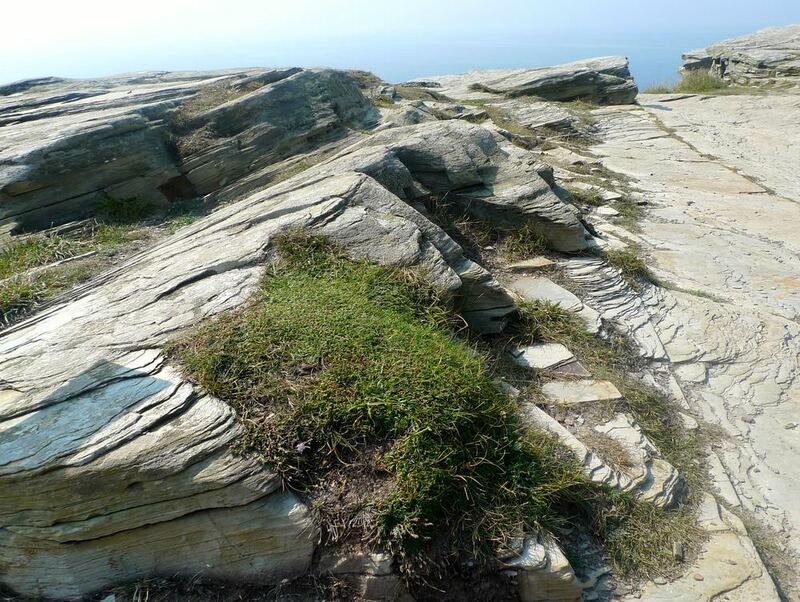 I'm going to leave it there for today and will continue our visit to the mainland part of Tintagel Castle and some views from where we had lunch on the National Trust's Barras Nose next Saturday - hope to see you then!